It's plausible that you didn't catch ABC's miniseries Roots when it debuted in 1977. Personally, I just remember heart-wrenching snippets from 10th grade lessons on slavery and the Civil War: The scene where Kunta Kinte has to fight for the right to keep his name while being literally whipped into being called Toby was a LOT to handle before lunch, but it was a sad reality of years past that needed to be shown. And now, the story of Kunta Kinte and his family is returning, as A+E is doing a remake of Roots with a star-studded cast. Thus far, Laurence Fishburne had been tapped to play Alex Haley, the author of Roots: The Saga of an American Family, and he is now being joined by good company. 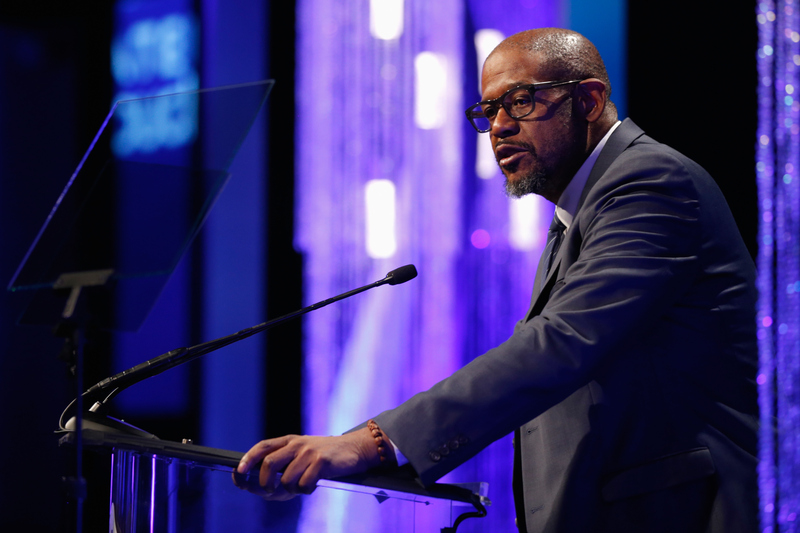 According to A+E in a press release, Academy Award winner Forest Whitaker is to play Kunta's mentor Fiddler, who helps him adjust to slave life, True Blood's Anna Paquin will returning to the South to as Nancy Holt, Dream Girls' Anika Noni Rose will play Kunta's daughter Kizzy, and Jonathan Rhys-Meyer — who's no stranger to playing a bad guy in a historical production (helloooo, Henry VIII) — will play Kizzy's brutal slave owner Tom Lea. Newcomer Regé Jean Page has also been tapped to play Kizzy's son, Chicken George. What else is there to know? Well, you may want to block off a few days from your calendar, because the miniseries is going to be a four night, eight hour special. Though no date has been announced, production is currently underway in New Orleans, and it'll continue later this month in South Africa. Stay tuned for more updates on this important cultural event, and brace yourself for another poignant yet gut-churning adaptation of Haley's novel.